President of the Islamic Republic of Afghanistan H.E. Hamid Karzai was in New York earlier this week to attend the general debate of the 66th session of the United Nations General Assembly (UNGA). While in New York, President Karzai held important bi-lateral meetings with US President Barack Obama and Turkish Prime Minister Recep Tayyip ErdoÄŸan, before regrettably cutting short his visit due to the unexpected and brutal assassination of Professor Burhanuddin Rabbani, head of Afghanistanâ€™s High Peace Council and former President of Afghanistan, in Kabul on Tuesday. Mr. Rabbani served as President from 1992-1996, and again in 2001. He held the role of head of the High Peace Council, tasked with negotiating and reconciling with the Taliban to achieve a long-term peace settlement, until his assassination by a suicide bomber. President Karzai returned to Kabul on Tuesday afternoon in response to the tragic attack and order to attend a national funeral for Mr. Rabbani. Three days of national mourning have been declared. In New York, Foreign Minister Dr. Zalmai Rassoul is now representing the country as head of Afghanistanâ€™s delegation to the UNGA. 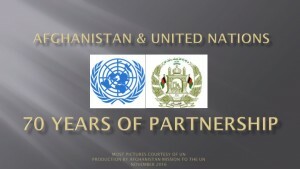 In this capacity, he will address the General Assembly on behalf of the Islamic Republic of Afghanistan today, and take this important opportunity to renew Afghanistanâ€™s dedication to the work of the United Nations and update Member States about the successes and challenges which still remain in Afghanistan. H.E. Dr. Rassoul was in attendance for the opening of the General Debate of the 66th General Assembly yesterday along with other members of the delegation including H.E. Dr. Zahir Tanin, Permanent Representative of Afghanistan to the United Nations, to hear important addresses by world leaders. The delegation attended the general assembly again today as the assembly was reminded of the successful adoption of the Durban Declaration, now 10 years ago, and the achievements that have been made since then. On behalf of H.E. President Karzai, the Minister of Foreign Affairs, H.E. Dr. Rassoul, will be delivering a statement at the general debate today in the General Assembly. 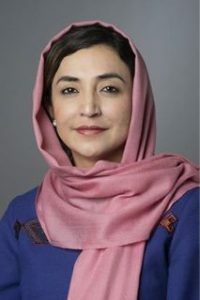 The Minister of Foreign Affairs will also be representing Afghanistan, accompanied by the Permanent Representative, in vital High Level Ministerial meetings about key groups in which Afghanistan is involved such as the G77, LDCs, LLDCs, and the OIC. And will be speaking at an important meeting about the Silk Road Initiative along with US Secretary of State Hillary Clinton. H.E. Dr. Rassoulâ€™s time in New York will also be an important opportunity to strengthen bi-lateral ties and discuss relevant issues with other nations including Pakistan, Spain, Jordan and a bi-lateral meeting with His Excellency Mr. Ban Ki-Moon Secretary-General of the United Nations. The delegation of Afghanistanâ€™s continued time in New York has been an important symbol of Afghanistanâ€™s commitment to the goals of international peace, security and partnership; and their resolve towards these ends. H.E. Dr. Rassoul will address the UN Security Council in its debate on the situation in Afghanistan next week.